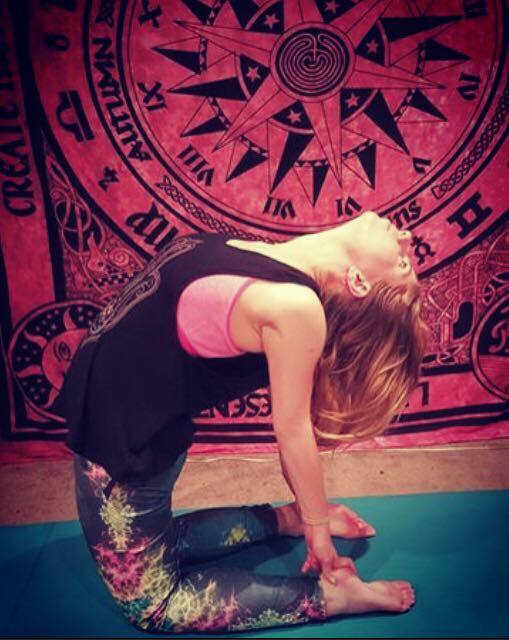 Day 1: Balasana – Child’s Pose – My first day of the challenge started of beautifully! Hips sinking back towards the heels and arms outstretched. I felt excited, happy and reflected on all the things I was grateful for. 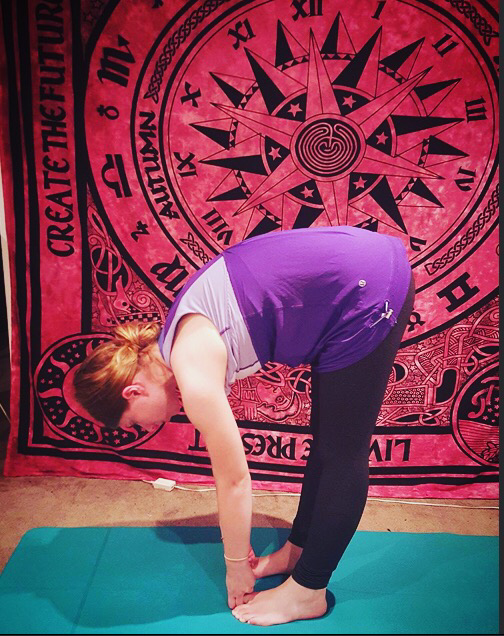 Day 2: Adho Mukha Svanasana – Downward Facing Dog – One of my limitations in yoga is incredibly tight hamstrings, therefore I always find it difficult to fully land my heels in this pose. It is a pose that is practiced so often yet can be so complex. Essentially an inversion, I aim to create an inverted V shape as much as possible rather than an inverted U shape that comes from rounding the spine forward. It is important to maintain an equal distribution of weight between the hands and the feet in this pose. 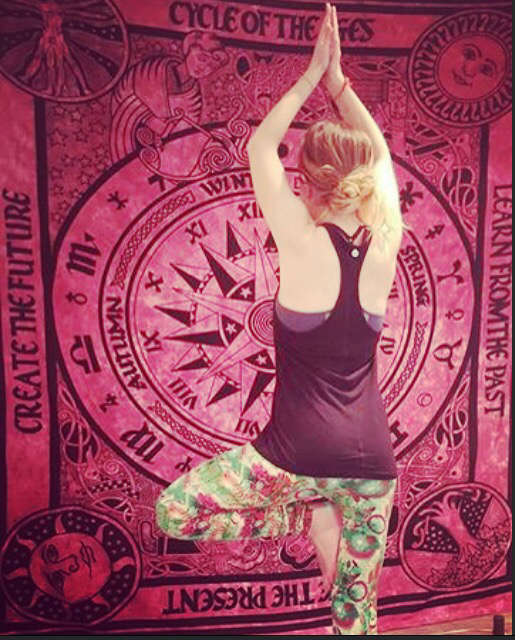 Day Three: Trikonasana – Triangle Pose. This is probably my least favourite pose not because of how it looks but how it feels. 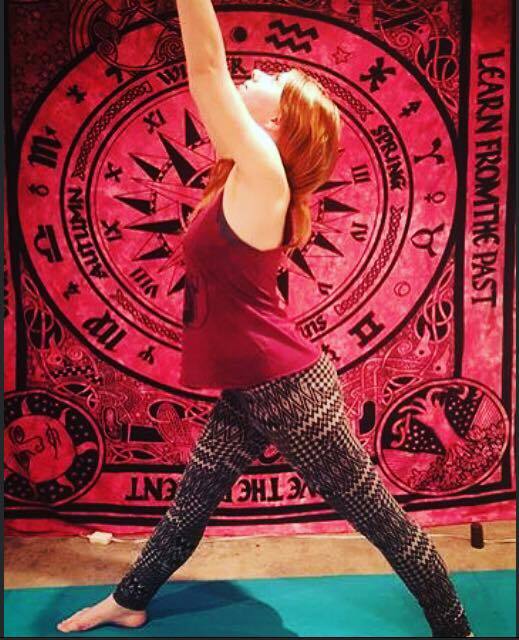 I always feel awkward in Trikonasana and being so short I need to step my back foot in a little bit. I take my hand to the thigh rather than the floor as it assists my body with a better rotation in the shoulders and torso. 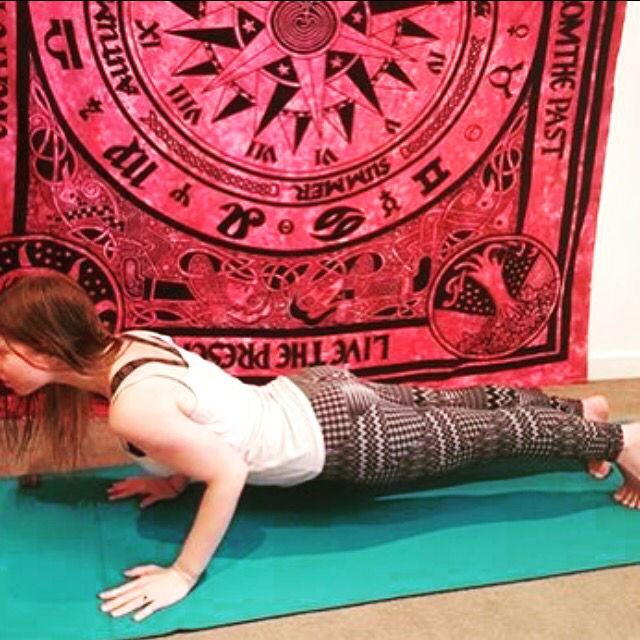 Day Four: Chaturanga Dandasana – Low Plank – I love flowing from High to Low Plank into Upward Facing Dog. It feels so good to rinse it out after a Standing or Balance series. When performing Chaturanga it’s important to hug the elbows into the body & lower down slowly while pushing power back through the heels. 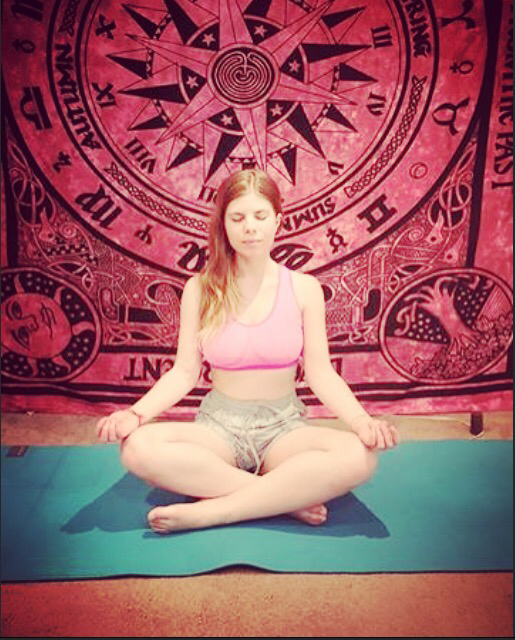 Day Five: Sukhasana – Easy Pose – Perfect for setting up your seat, lengthening your spine and providing space to connect with the breath. It is called Easy Pose as it’s a comfortable posture to take during meditation and one anybody can do. Day Six: Lolasana – Pendant Pose – As I mentioned in my intro, there are some poses I just cannot do yet and Lolasana is one of them. I’ve been practicing regularly but just don’t have the core & wrist/arm strength at this point in time. 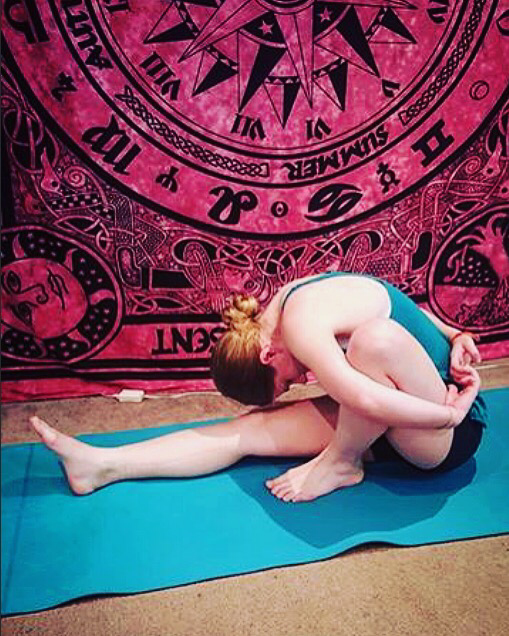 I decided to show you Tolasana – Scales Pose instead which is the opposite of Lolasana. The main difference is the legs are extended in the front rather than behind. it is always a good idea to use blocks in this pose as the extra height will help raise the body off of the ground. 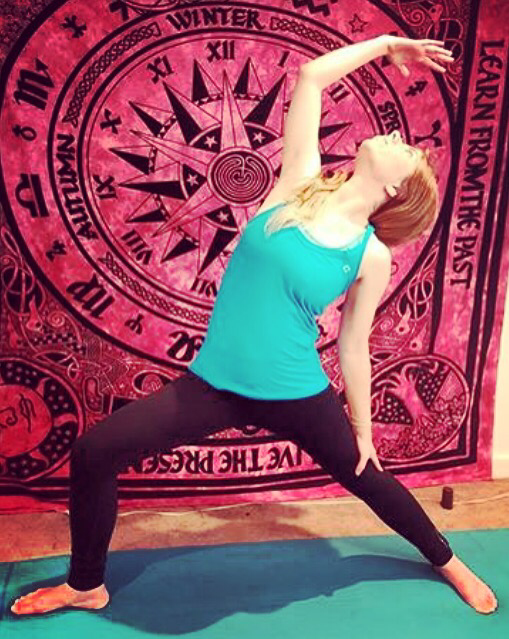 Day Seven: Vriksasana – Tree Pose – This is my favourite standing balance posture. I feel so connected to nature when I form this earthy pose. There are so many hand variations you can take and why not try testing your balance by closing the eyes? Just remember not to place the foot on the kneecap. 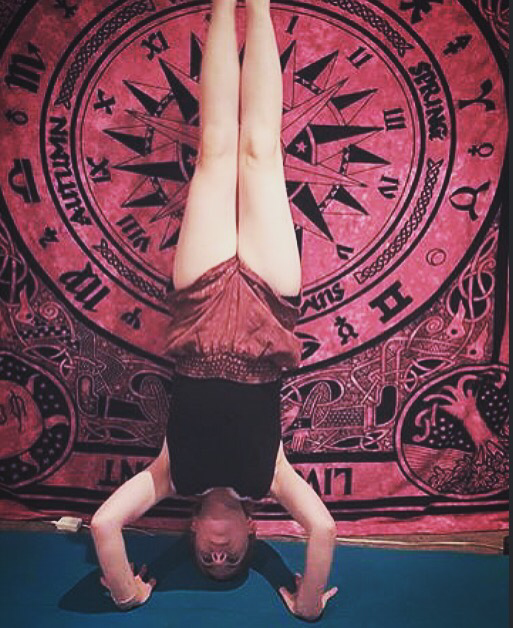 Day Eight: Sirsasana – Headstand Pose – Only in the last couple of months have I been able to pull myself up into a headstand without the use of a wall. The trick is to lay a strong foundation on the mat with the forearms pressing against the ground. Engage the core, walk the feet in as close to the body as you can and lift up! 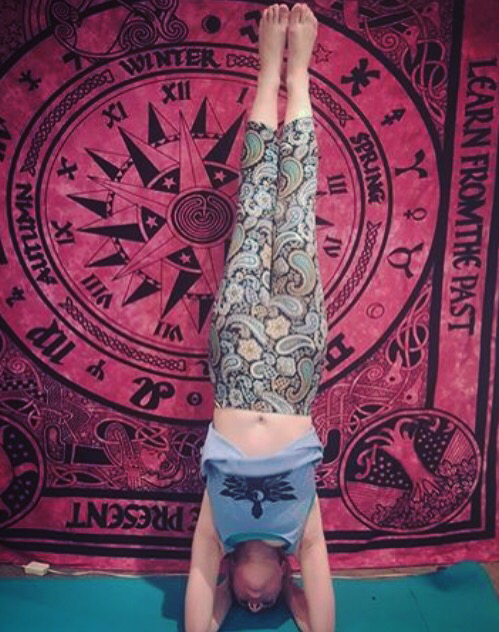 Inversions are wonderful for calming the nervous system so after a hard day’s work…go upside down! 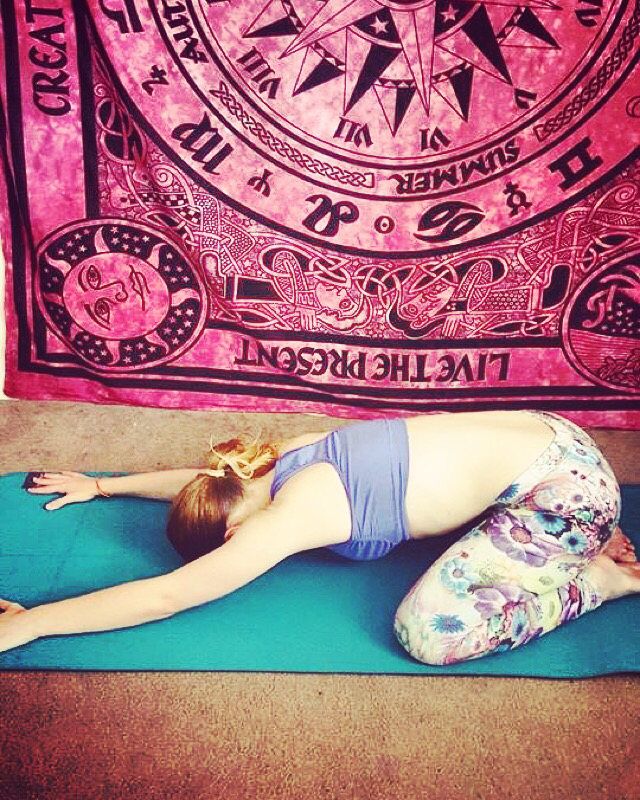 Day Nine: Marichyasana – Sage’s Pose – I’ve actually never practiced this pose before! I thought I would struggle due to my tight hamstrings but I really enjoyed the shoulder stretch and it wasn’t too difficult to bring the crown of my head to my knee. I hope to see this pose more in my daily practice at Kula Studio. 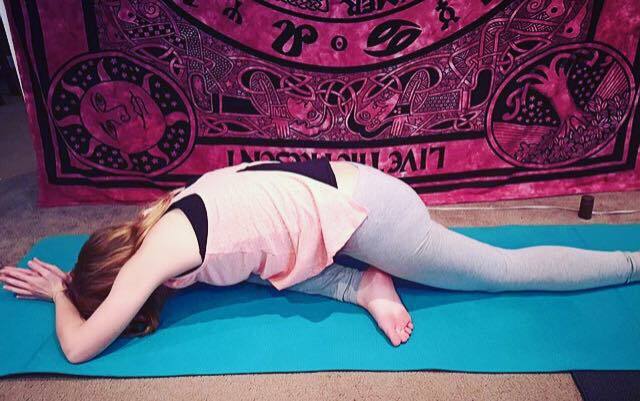 Day Ten: Janu Sirsasana – Head to Knee Pose – This pose is wonderful for stretching and lengthening the spine. Make sure your sit bones are equally grounded and the sole of the foot is placed comfortably against the inner thigh. Angle the torso over the extended leg, reach as far as you can and then take a hold of either the foot, ankle or shin. Day Twelve: Padangusthasana – Big Toe Pose – As the name suggests, this pose involves pistol gripping the big toes with the 2 peace fingers. Allow the biceps to draw the torso down and shift the weight forward so you can tilt the sit bones towards the ceiling. Day Thirteen: Baddha Konasana – Bound Angle Pose – Such a simple, relaxing pose. There is a common misconception that the feet need to be closed off but actually they should open like the pages of a book. I like to close my eyes in this pose and feel my knees softening towards the mat on the exhale. Day Fourteen: Navasana – Boat Pose – This pose is great for core strengthening especially if you pulse between Boat & Canoe (or Low Boat). You can hold the back of the hamstrings if your chest is sinking or bend the knees slightly like I’m doing in this picture. 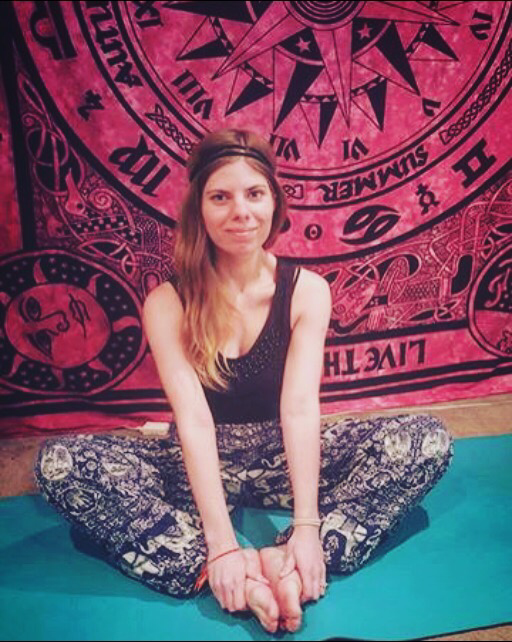 Day Fifteen: Ananda Balasana – Happy Baby Pose – I’m such a Happy Baby in this photo with a big grin on my face. 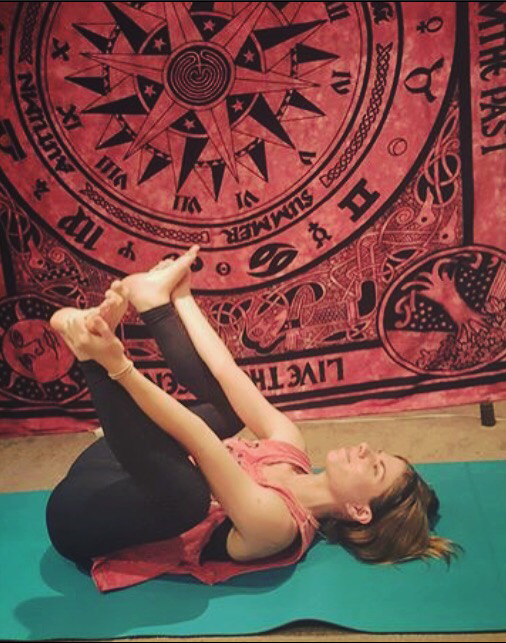 I prefer to practice this pose at the end of a class rather than at the start as my hips need time to open and stretch. 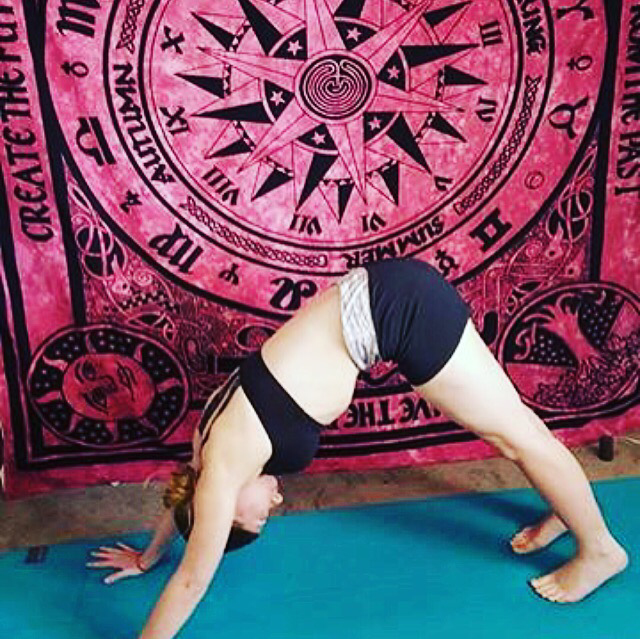 It’s always fun to rock a little bit from side to side in this pose but rock too vigorously and you will be an Unhappy Baby! 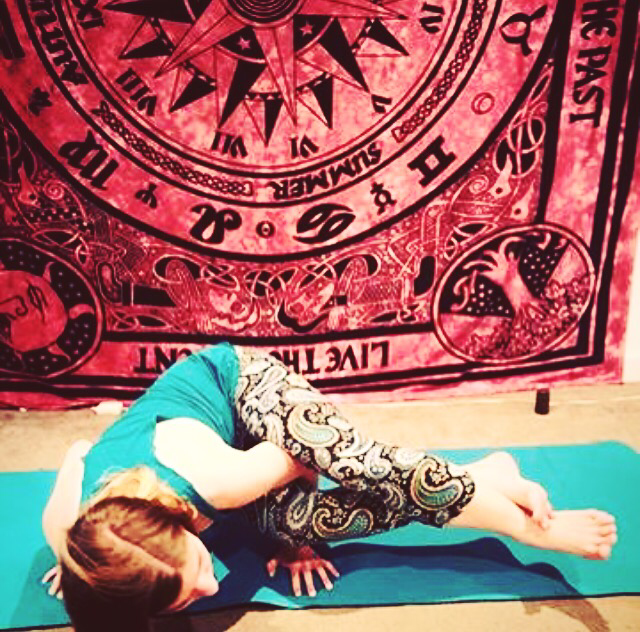 Day 16: Ardha Matsyendrasana – Half Lord of the Fishes Pose – Today wasn’t a great day for me womanly wise. I felt bloated, crampy and the last thing I wanted to do was a half spinal twist so please excuse the expression on my face. Sometimes we may not always feel like practicing asana and that’s okay. Yoga doesn’t judge, it understands and is always ready when you are. 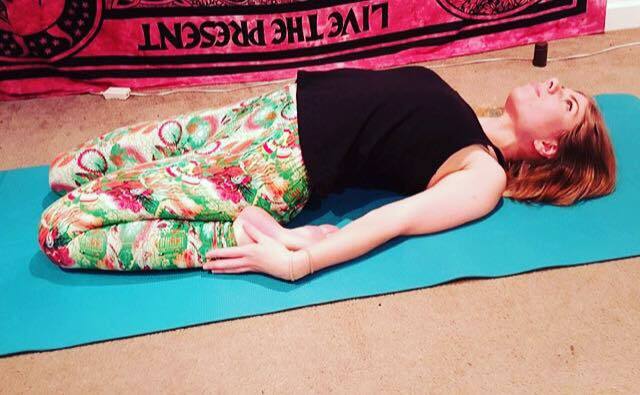 Day Eighteen: Supta Virasana – Reclining Hero Pose – This is one of my favourite poses. It is incredibly relaxing for me however I know it is hard for those with tight quadriceps. There are so many variations with this posture and it is lovely to do with props such a bolsters and blocks. 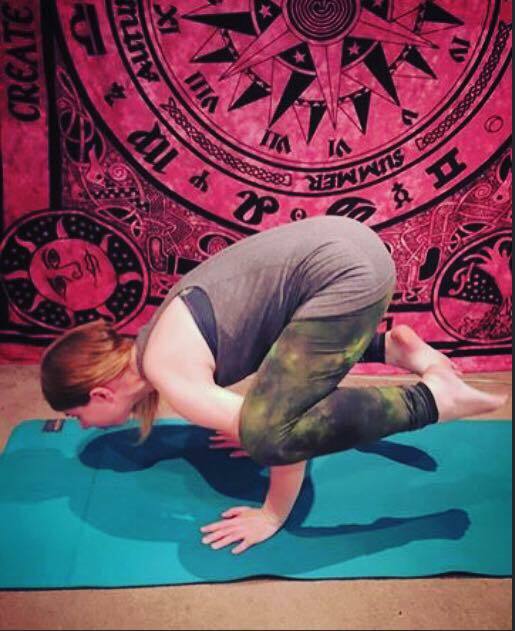 Day Nineteen: Bakasana – Crow Pose – This was one of those poses I had to master when I saw it being done for the first time. I spent so long building core strength and one day my crow flew! I really enjoy launching into this pose. I honestly think this pose is 20% core strength and 80% mental. Once you get past the fear of potentially falling, you can come into the posture easily. Day Twenty: Ustrasana – Camel Pose – This is without a doubt my favourite yoga pose of all time. I get excited when it’s time to go into it. 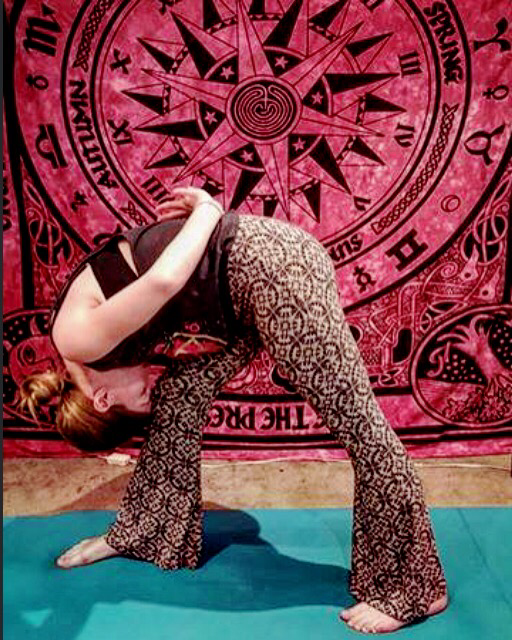 I’m a big fan of backbending and I love what a heart opener this posture is too. Remember you can always tuck the toes if you have shorter limbs or less range in your lower back. 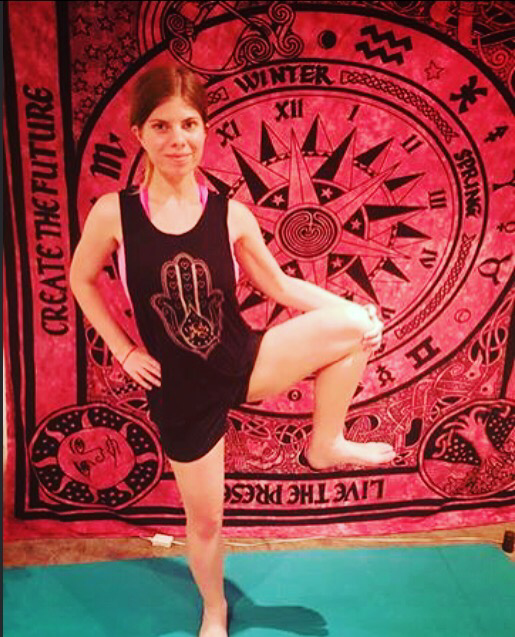 Day Twenty One: Virabhadrasana I – Warrior One Pose – This pose can feel a little bit awkward as the back foot faces a 45 degree angle but it is a wonderful base for Warrior II or Humble Warrior. Make sure the front knee is tracking over the second and third toe. Keep the hips square to the front of the room. 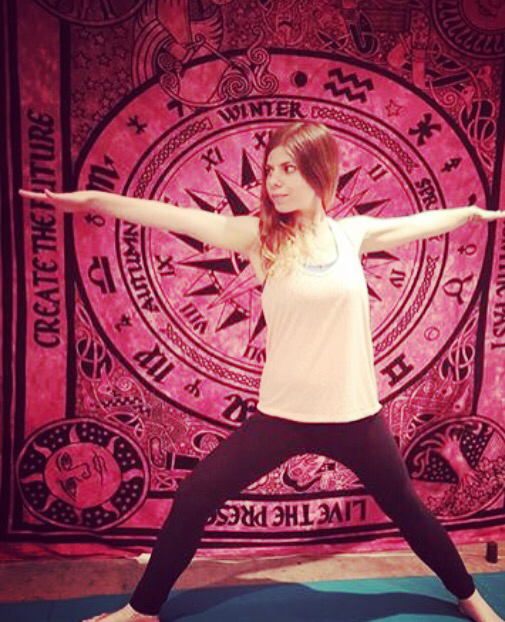 Day Twenty Two: Virabhadrasana II – Warrior 2 – This pose is featured in almost every yoga class! It requires a lot of alignment & very easy to cue. Orient the knee over the second and third toe, engage the triceps, gaze over the front two peace fingers and press down on the outer edge of the back foot. It is such a beautiful posture with the potential to lead into so many different variations. 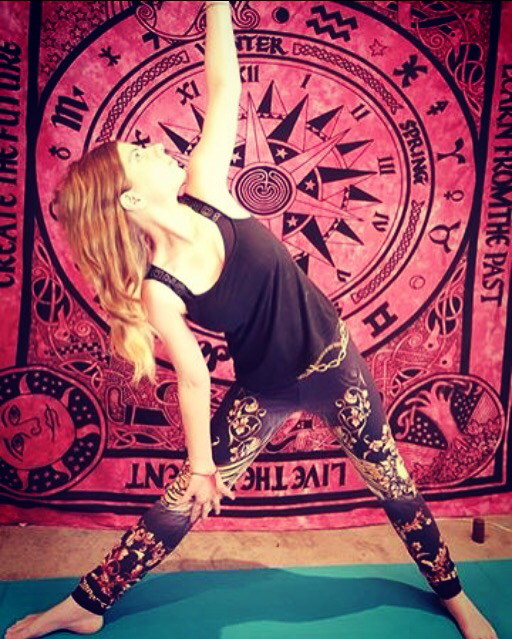 Day Twenty Three: Viparita Virabhadrasana – Reverse Warrior – Such a beautiful pose with artistic cues like ‘paint the sky with your hand.’ Reverse Warrior is the perfect pose for a Vinyasa Flow class as you can literally move as though you’re dancing through water. 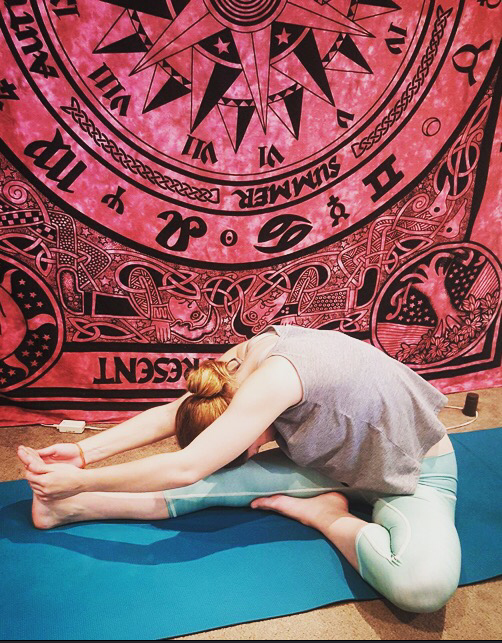 Day Twenty Four: Parsvottanasana – Intense Side Stretch Pose – This pose requires a lot of openness in the shoulders in order to take the hands into Reverse Namaste. On top of all that, it is difficult to straighten the front leg if you have tight hamstrings hence my bent one. It is however a beautiful posture and I need to give a shout out to my amazing pair of bells that are super comfortable to practice yoga in. 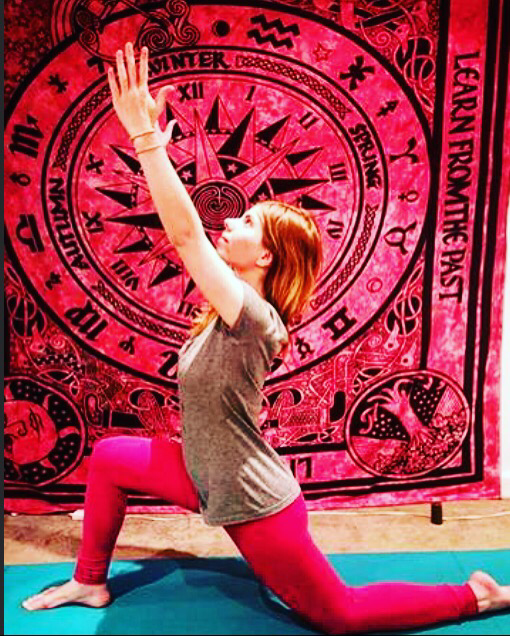 Day Twenty Five: Anjaneyasana – Low Lunge – Such a devotional, sacred pose with a spiritual connection. This posture can assist in stretching the quadriceps and opening the hips. 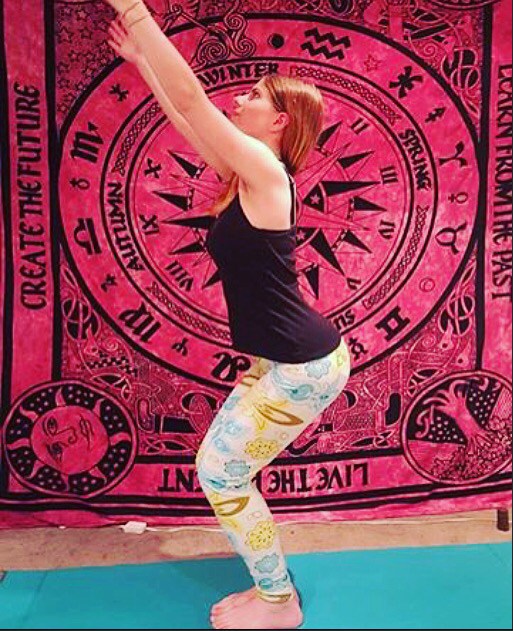 Make sure to stack your knee over your ankle and relax the shoulders as you elongate the arms to the sky. 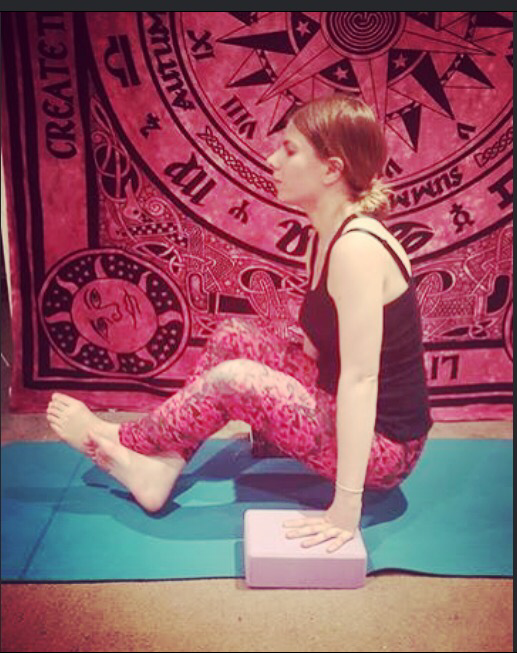 Day Twenty Seven: Utkatasana – Chair Pose – Quite possibly the most common yoga pose aside from Downward Dog, Chair Pose can really ignite a fire in the core and thighs once held for a while. Make sure you can see all ten toes, draw the tailbone towards the floor and hug everything into the midline. It won’t take long for the internal heat to build! 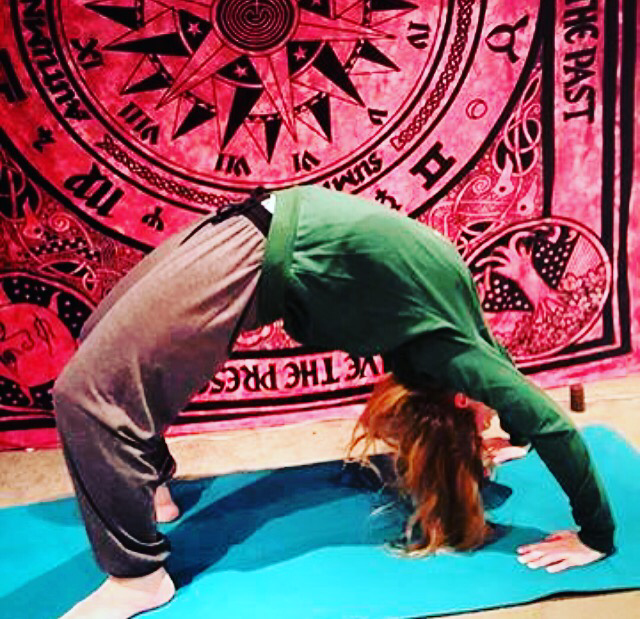 Day Twenty Eight: Mukta Hasta Sirsasana – Tripod Headstand – I find getting into a headstand much simpler this way rather than the forearms placed on the floor. I had so much fun with this pose today! The challenge is nearly over and I’m feeling much more positive about my body and mind! 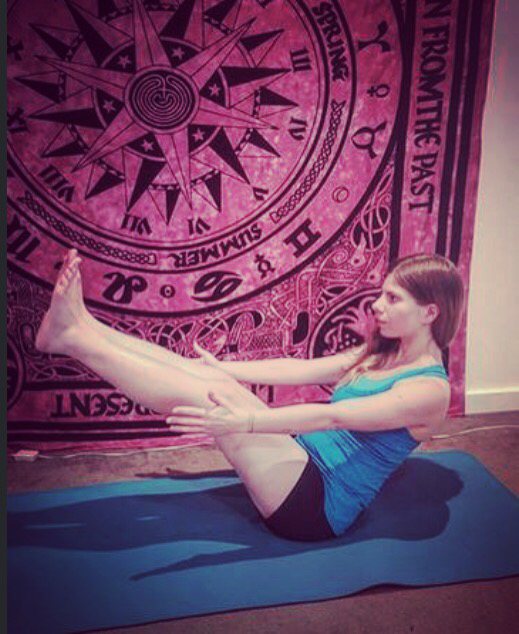 Day Twenty Nine: Astavakrasana – Eight Limbs Pose – This pose requires a degree of core strength. I remember the first time I became airborne. It was so exciting! I really enjoy the look and feel of Eight Limbs . One tip is to hug everything into the midline! 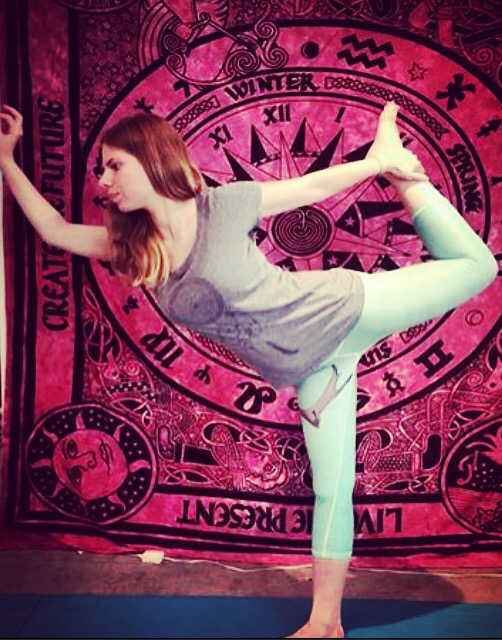 Day Thirty: Natarajasana – Dancer’s Pose – This pose incorporates a bit of everything! It’s a hamstring stretch, hip-opener, back-bend, shoulder stretch and more. I’ve got a crazed look of concentration here! 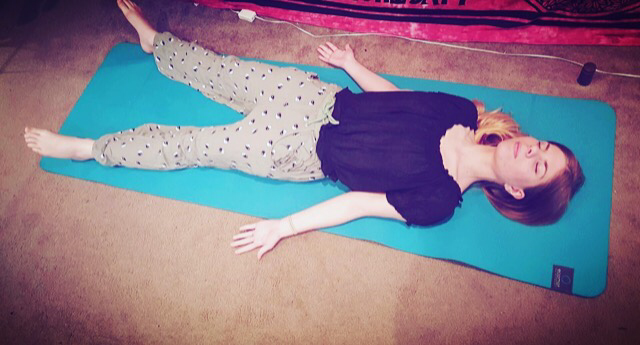 Day Thirty One: Savasana – Corpse Pose – Ahh the final resting pose! It is called the most difficult and important posture in yoga as it requires us to let go and embrace the present moment. 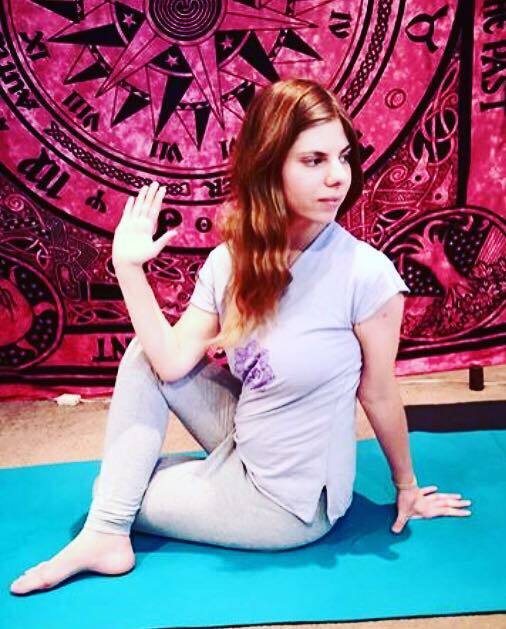 Try to keep the legs and arms wide apart with the palms facing upwards in a gesture of receiving and surrender. Allow yourself to relax, rest and restore in Savasana. It is your time to reap the benefits. Namaste! You are amazing. Description and photos. A eduction into the movements of yoga. I do basic yoga for back and legs. Your artwork and photos gave me some new ideas. Thank you. I’m glad to have provided you with some ideas 🙂 I certainly hadn’t done all of these poses before either so it was a lot of fun! I can’t do them all. Army mess up legs and back up. I don’t like using medicine. Better to do easy yoga to fix the pain. Love it! I want to take up this challenge. Love your outfits, too! Thank you for sharing this! Every day I say I need to DO SOMETHING and you have really inspired me. Great pictures and explanations. Thank you! You’re very welcome! Thank you so much for taking the time to read! Yoga is such a beautiful thing! I think I need to take a class or 2.